Is embezzlement a felony or misdemeanor crime in Texas? That’s a good question since embezzlement can bring only a misdemeanor charge, but sometimes can result in a more serious felony charge. Under Texas laws, the crime of embezzlement is generally considered to be theft for financial gain by an employee or someone entrusted with safeguarding money or goods. Such theft often involves “fraud,” which means deliberately deceiving an entity (such as a business) or a person for monetary or personal gain. This can involve gaining something of value (property or money) via deceitful or misleading conduct, such as making false statements or misrepresentations. Theft in the form of embezzlement can include an employee who is entrusted with handling a cash register for a business taking money from that cash register, or an employee stealing services or goods from an employer such as items stocked in a store. It also can mean transferring money from an employer’s corporate or business account to the defendant’s personal account, or altering a business’ records or books in some way to conceal income to the employer – income which the defendant then takes. Embezzlement can also mean using a corporate credit card for excessive personal use. In addition, embezzlement can refer to elder abuse, as when a person who is entrusted with managing an elderly person’s finances takes some of that money illegally. Embezzlement theft is largely considered a white collar crime. White collar crimes do not involve force, violence or the threat of violence, but rather lying, cheating or deception. Embezzlement can also be a federal charge, as found in 18 U.S. Code Chapter 31. In Texas, the penalties for a felony embezzlement charge can range widely, depending on the individual circumstances and nature of the crime, such as the amount that was stolen. For misdemeanor embezzlement, when the amount stolen is up to $1,500, the penalty can be a sentence of as much as one year in jail. When embezzlement involves $1,500 to $20,000 stolen, it is deemed a “state jail felony,” and the penalties or punishments can include up to two years in a state jail. A third degree embezzlement felony involves theft of $20,000 to $100,000 and can bring a sentence of two to 10 years in state prison. A second degree embezzlement felony involves theft of $100,000 to $200,000 and can bring a sentence of two to 20 years in state prison. A first degree embezzlement felony involves theft of over $200,000 and can bring a state prison sentence of five to 99 years. The severity of the felony sentence depends on the amount of money stolen. The more money that is stolen, the more severe the charge is and, consequently, the more harsh the punishment will be. In addition to jail time, embezzlement punishments can include fines. For a state jail felony or a first degree, second degree or third degree embezzlement felony, such fines can be up to $10,000. Clearly, felony embezzlement charges in Texas are a very serious matter and require a skilled, knowledgeable and experienced criminal defense lawyer such as Neal Davis. The Neal Davis Law Firm can defend you or a loved one against such charges by working to avoid indictments, getting charges reduced or dismissed, or winning an acquittal from a jury if the case goes to trial. Keep in mind that the burden of proof is on the prosecution. In court, prosecutors must prove beyond a reasonable doubt that the employee took money, goods or services without the owner’s permission. Houston embezzlement defense lawyer Neal Davis understands that embezzlement is a document-intensive crime. He can use financial consultants, computer experts and other means to help establish your innocence. For legal services in Houston, Harris County, Fort Bend County or Montgomery County, contact the Neal Davis Law Firm today. 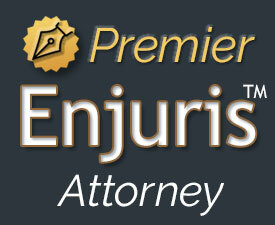 You will receive a free and confidential legal review of your case. Then you can decide if you want to engage experienced attorney Neal Davis. Get Neal Davis – and get results.